I have been compensated by AVEENO for this post; however, I am sharing my own thoughts. All opinions are my own. When I had Kane, I learned the importance of having routines for you baby. As soon as we brought Karoline home from the hospital, we started working on her daily routine. 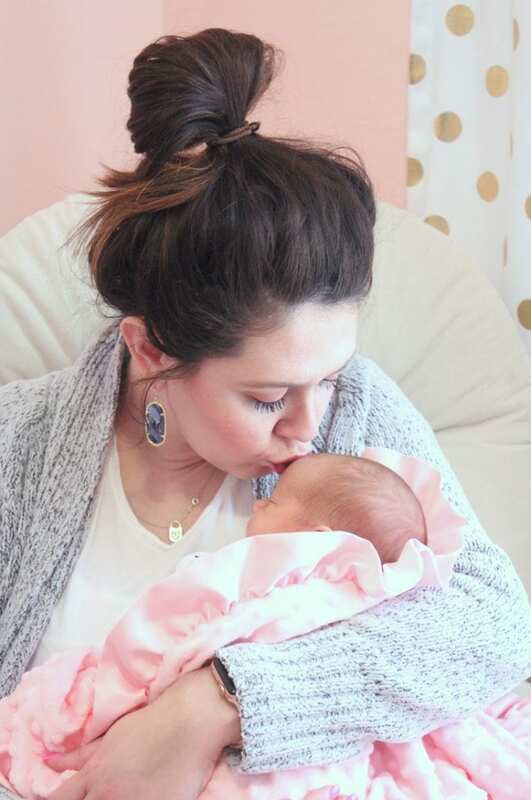 One routine I wanted to establish as quickly as possible is her bedtime routine, because sleep with a newborn is of paramount importance for everyone. Today I’m sharing our newborn bedtime routine. To get Karoline prepped for bedtime, we like to start with a nighttime bath. This was her first bath at home, so Chauncey and I wanted to start things off on the right foot from the get-go. 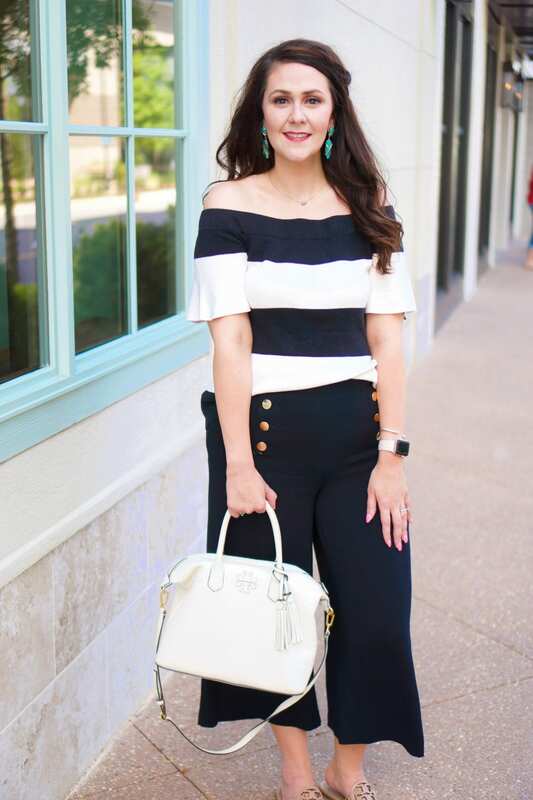 As a second-time mommy, I have my trusted go-to brands for baby items. I love JOHNSON’S® Baby products, especially the AVEENO® Baby line. We have exclusively used Aveeno Baby products on Kane from the time he was several month old, so of course we are using the same for Karoline. For her, I picked up some items from the AVEENO® Baby Calming Comfort line on a recent Walmart trip. The lavender and vanilla scent is so calming and helps soothe Karoline. I use the AVEENO® Baby Calming Comfort Bath to wash her. 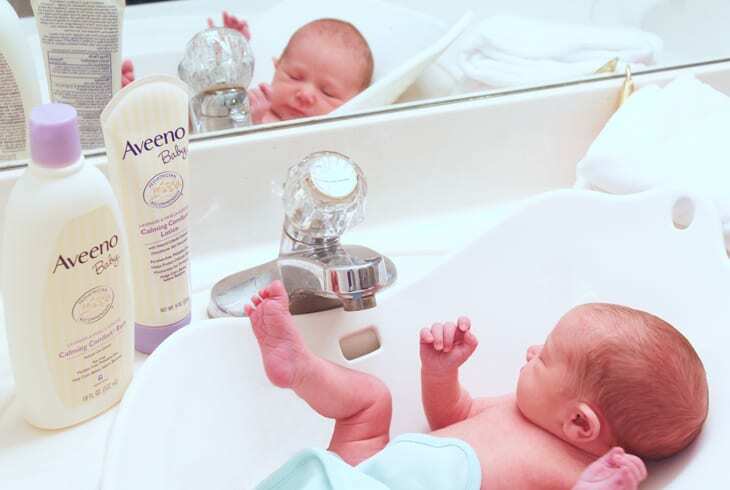 After her bath, I like to give her a massage using the AVEENO® Baby Calming Comfort Lotion. First, I warm the lotion up in my hands, and then I spread it on her body from her neck down. I use long, firm strokes. She likes it when I pay special attention to her hands and her feet when I do the massage. After her massage with AVEENO® Baby Calm Comfort Lotion, I nurse her so that I can hopefully get a couple of hours of sleep before her next wakeup call. I also rock her a little if she needs it. When she gets a little older, we will add a bedtime story to our nighttime routine. 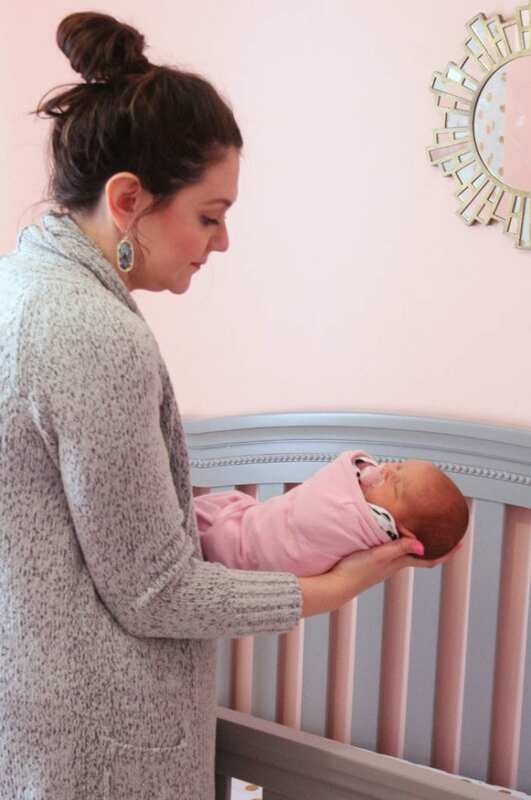 Afterwards, I swaddle her up before placing her in her crib or bassinet for the night. Her relaxing bath and massage, topped off with nursing, gets her sound asleep quickly. By establishing a bedtime routine from the very first bathtime, you are preparing your baby for a good night’s sleep. Chauncey and I love spending this time in the evenings with Karoline and bonding with her. To this day, Kane still enjoys his bedtime routine, although he washes himself now with his AVEENO® Baby products. From Kane to Karoline, I’m glad that I’ve found products that our whole family loves! 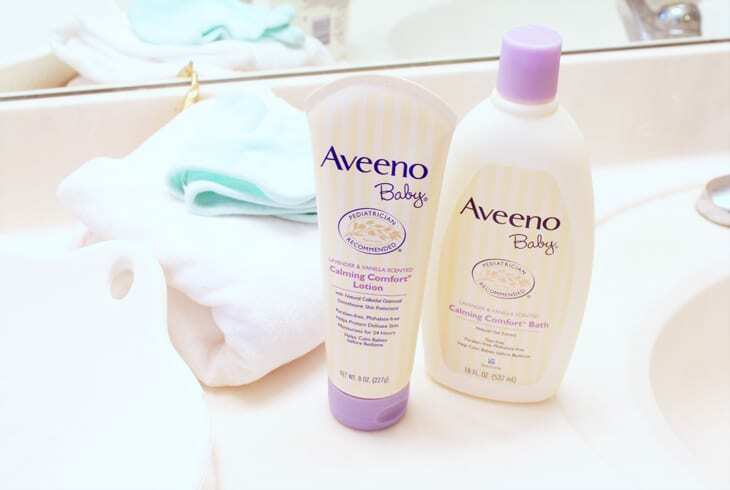 While I grabbed our AVEENO® Baby products on a recent Walmart trip (you can find them in the baby section), you can also simply order online for home delivery or to pick-up in-store.